Calamvale is a long established, prestigious suburb in Brisbane. Jim’s Professional Painting understand Brisbane’s unique heritage. So, whether youare lucky enough to own one of the fine period homes, or a new modern townhouse, rest assured that we have the know-how to transform your property to reflect Brisbane’s impressive ambience. 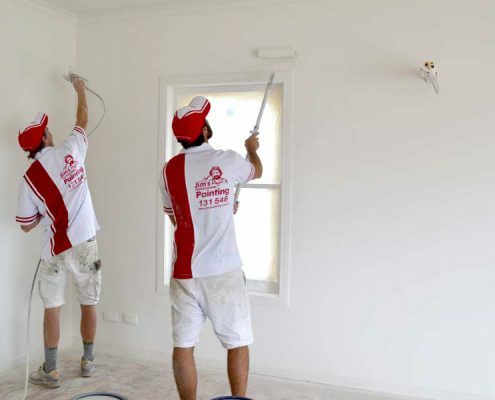 Painting your house or business premises can be stressful, tiring and back-breaking. Jim’s Professional Painting Calamvale make the entire painting process quick and easy. It starts with the quote. Our quote is transparent and easy to understand. You know exactly what you are paying for. Your Jim’s Professional Painter will come armed with all the specialised equipment and products needed for your specific job. Feel safe and secure knowing they are masters of their craft. With years of experience, they have seen and handled it all. They are highly skilled perfectionists, with a keen eye for detail who strive to achieve the best results possible. After all, if you’re happy, you’ll tell your friends and we’ll be happy. To top it all off, Jim’s Professional Painting Calamvale appreciate the importance of deadlines. With us, you’re painting project will be finished on time. Overall, an easy, hassle-free process for you! If you’ve answered ‘Yes’ to the three questions above, Jim’s Professional Painting Calamvale is for you. Call us today on 131 546 for an obligation free quote.